Sisters with Stuff: What a great gift for a kid who needs a break from all the electronic gadgets! What a great gift for a kid who needs a break from all the electronic gadgets! I thought this was a perfect example of my post from a few days ago It's OK to live simply in 2013, kids don't always have to have the latest and greatest gadgets and electronics, they need stuff to keep them busy besides video games and iPads and tablets and phones. What do you think? Could you stand the noise? 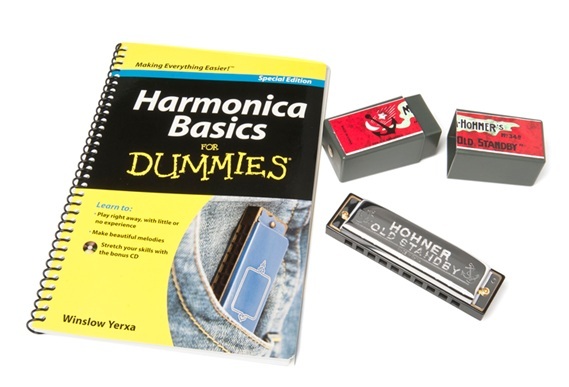 Harmonica For Dummies Pack $12 on Woot.com, you get the Harmonica and a case and the Harmonica for Dummies book.